When we think about the skills Dungeon Masters require to run great D&D games, many come to mind. We might think we need to have mastery of the rules or a keen mind for combat tactics. We might assume we need to build out a world from scratch including its history, religion, and politics. The reality of the game is much different. We don’t need those skills to run great games. One skill, however, stands out when it comes to running awesome D&D games. Games never go according to plan. The players latch on to ideas we never thought of ourselves. They make decisions we never considered. They head east into the great unknown when we have reams of maps for the well-charted west. They fall in love with NPCs we made up on the spot and kick the most important quest-giving NPC over a cliff thinking they were a doppelganger. Reacting to these on-the-spot changes and still managing to keep the game running smoothly is the difference between mediocre DMs and great ones. We might be tempted to push the game back on track and force events to go the way we expected they would go. Doing so, however, can be a mistake. Pushing the game in one direction removes the agency of the players to guide the story. Second, it’s fun when things don’t go where we expected. It feels magical when the story expands beyond the minds of any individual at the table. It’s up to us to weave that magic and the spell we’ll use is improvisation. When we talk about improvisation, we're not talking about using funny voices or falling into character. Those are certainly fun skills to develop but they aren’t the core of what we’re talking about here. We’re talking about the skills required to keep the story going and making sure it’s fun regardless of the choices the characters make or the unexpected events that unfold. We don't force the characters to go one way or another, we adapt based on the choices they make. Improvisation is a skill that gets better over a lifetime. Whether we’re just starting out or have run D&D for forty years, we can always improve this skill. We pick up tricks. We learn new techniques. We figure out new ways to riff with our players and come up with wild ideas we never would have thought of before it happened at the game. We get better at improvisation the more we do it because the more we do it, the more confident we become. Practice builds confidence which is the foundation of good improvisation. As you get started running D&D games, you might find yourself overwhelmed by the sheer rules of the game. D&D is a complicated game to run. Instead of taking on the role as the full arbiter of the rules, ask the players to help. Did you forget how much damage thunderwave does? Ask someone to look it up for you rather than do it yourself. The more we rely on the players to help us answer rules questions, the less likely they’ll think of us DMs as their opponents and understand that the DM, like the rest of the players, is there to watch the story unfold. This doesn’t get you off the hook from understanding the basics of how D&D runs, though. You don’t have to master the rules but you should be proficient enough for the game to run smoothly. Give yourself enough time to read through and understand how the game works before you begin to run it for your group. Much of the struggle to get better at improvisation revolves around letting go of our expectations. When we sit down to plan and prepare our game, we build in our mind how we expect things to go. Then, when we’re at the table, things don’t always go the way we planned. If we hang on too tight to these expectations, we lose the opportunity to be surprised by the direction the story goes. We’re not building a video game, filming a movie, or writing a story here. We’re experiencing the story as it unfolds. Commonly this will happen when we expect a fight to break out but the characters instead figure out how to get around it through a discussion with the potential combatants or by subverting the confrontation some other way. Say the characters run into a small hobgoblin camp. We assume they’ll go in and fight some hobgoblins but what if, instead, they end up pretending to be mercenaries hired to join the band? What if they end up sneaking right past the camp with a series of great Stealth checks? What if they lure the guards of the camp away with a huge bonfire some distance away? We might not have expected any of these things but all of them could lead to an interesting story. We’d miss out on that if we simply force the confrontation and make the fight happen the way we expected it to in the first place. Building interesting situations for our characters to explore and letting go of our expectations about how they will approach it is a huge step forward towards improvisational DMing. Those who study improvisation say a great deal of the art of improvisation comes from listening. We can’t improvise if we’re not listening to what the players say and how it can change the game. One of the easiest tricks to steer the game is to ask players guided questions and use their answers to move the game forward. “Mao, what object do you find irresistible in this curio shop?" You’ll notice that all of these questions help steer the characters but in a way that lets us learn something more. They’re not too general or open-ended. We know Mao the rogue is going to want something in this shop, but we don’t know what. We know that Diva is going to aid her friend, but we might not know what drives her to do so. This might seem like we’re steering the story too heavily but sometimes it’s up to us to guide the story down a fun path instead of asking too vague a question such as “what do you do?” without context. Asking questions also gets us involved in the characters in the game. It helps us hear what the players are hoping for as the game unfolds. Asking questions and listening to answers helps us break out of the story we have in our head and gets us to recognize, realize, and embrace the stories of the characters as they travel through the world. This is the back-and-forth storytelling that lies at the core of D&D. DM’s describe the situations, players describe what they want to do, and the DM describes how they might do it. Using “yes, and” and “no, but” builds in a negotiation into the game. What are the characters willing to risk to accomplish their goals? Loading our brain up with great fiction improves our ability to improvise. Books, movies, TV shows, video games; all of these serve as great sources of inspiration for our D&D games. The D&D books themselves, however, offer a tremendous value for improvisational gaming. The Monster Manual is packed with wonderful stories, hooks, and ideas you can drop right into your game at the right moment. If you read no other D&D book from cover to cover, read this one. The Dungeon Master’s Guide too is full of inspirational ideas. In particular, the random tables in the DMG serve as a wonderful inspirational aid while preparing our games. Random tables can break us out of stereotypical ideas and give us fresh ideas for our game. If you’re running a published adventure, read it through so you can drop in foreshadowing and feel comfortable if the characters take a different direction from what the adventure expects. When we run our D&D games, some key mechanics can help us improvise situations and offer potential actions to the characters: skill checks, advantage, disadvantage, and inspiration. These mechanics work together to help facilitate improvised situations. They also fit into the ideas of asking questions and offering options. If you aren’t familiar with these mechanics, take a few minutes to read about them either in the D&D Players Handbook or on D&D Beyond before continuing. When we run our games, we describe the situations in which the characters attempt to overcome obstacles to accomplish goals. Sometimes, if the actions the characters try are particularly easy, the characters can just do them. If they’re challenging, however, we can set a Difficulty Class (DC) to the challenge based on how difficult it is. Easy yet fallible actions are about a 10 and really hard challenges are about a 20. We DMs pick this Difficulty Class, between 10 and 20, depending on the difficulty of the situation and the action the characters want to take. Stealing keys off of the belt of a sleeping guard is probably a 13. Bending the iron bars of the cell is probably a 20. In some situations, particularly in combat, we can make offers to the players. If they succeed at a particular skill check, they can gain advantage on an attack. For example, if a character is willing to leap up on the stone table and dive in on the ogre, they can get advantage on their first attack if they make a DC 13 Acrobatics of Athletics check. If they fail, they’ll slide on the table and land at the ogre’s feet prone. These sorts of deals can work either way: DM to player or player to DM. If a player wants to try something awesome, we can give them a DC to achieve it and grant them advantage if they succeed. Likewise, in order to add some excitement to a situation, we might let the player know of a potential option they can take, the difficulty to do so, the advantage they’ll receive if they succeed, and the disadvantage they’ll receive if they fail. Finally, if we find that a player is acting in character and moving the story forward, we can reward them with inspiration. Inspiration is a tricky mechanic to remember and work in but it can serve very well to reward players for making choices true to their character that also keep the story moving forward. I personally like to award inspiration when characters take risks or will offer it as a reward if they are willing to do so. This article barely scratched the surface of what it takes to be a great improvisational DM. It takes practice and work to get good at it. When it works, our games truly become something magical—a story none of us had individually considered but instead built together. 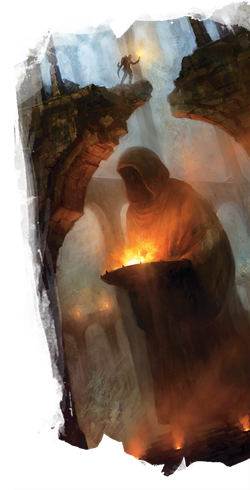 In future articles we’ll talk about some of the tools that help us run our D&D games including tools that help us improvise right at the table. As a long time player but first time properly DM'ing, I frequently find that the best choice when you really don't know the difficulty of something a player wants to do is to just ... tell the player to roll a check for it. It gives you some time to ponder just how difficult the action might be, and their roll can guide your opinion. They roll a 6? Who knows how hard it was, they probably failed it. They rolled an 18? If it's something they're proficient in, they probably succeeded. Only when they roll something like a 14 do you have to actually try to work out how difficult it could be. Can save you some sweat in the long run. Loving the new articles, DnDB! Keep 'em coming. Great article, Mike! Your examples are all focused on unexpected character decisions that, generally, move the plot forward. Learning to handle these with grace is a key DM skill. But of course, there's another side to that coin. As a busy adult DM with precious little time, I think there is a big difference between improvising when players demonstrate "creative problem solving" versus them "going off the rails." I think any DM can be reasonably expected to handle the former with grace. I'm not so sure about the latter. To me, explicitly establishing the social contract of the campaign at the outset is important, so that players and the DM have a common understanding about where the boundaries are. Better to get those expectations out in the open during Session 0 (or even before). I'm happy to allow the PCs to come up with creative solutions to a challenge. But if they were constantly ignoring plot hooks, acting like villains instead of heroes, alienating or killing key NPCs, etc., then that would be breaking the social contract of our table. I'm not going to feel responsible for "improvising" when my prep time is wasted because they decide to murder the noble and rob her house instead of agreeing to help find her lost nephew who disappeared after leaving a tavern three nights ago. Even your original example of "They head east into the great unknown when we have reams of maps for the well-charted west" might be, in my view, violating the social contract of the campaign. You struck on a great point I want to re-emphasize regarding inspiration. Many DM's start with reading, and gain a nearly infinite list of ideas. Often (particularly new/story DM's) feel crushed when a party ignores their carefully crafted prose to take an unexpected path. Instead of gaining inspiration just from media, use what you said about listening and gain inspiration from the players, and the character choices they make. Don't think you have to dream the whole world up with every NPC, political organization, city, custom monsters and great peril threatening the land (which only the adventures can fix). Set the table, and see what they bring to the pot-luck. Another wonderful article. You have a sentence structure error in this line: "This is the back-and-forth storytelling lies at the core of D&D. DM’s describe the situations, players describe what they want to do, and the DM describes how they might do it." I think you meant to say either This back-and-forth storytelling lies at the core of D&D, or This is the back-and-forth storytelling, which lies at the core of D&D. All great tips. I just started DMing at the start of the year and I have had to do a lot of improv right from the start. The initial quest to 'clear out some kobolds that tunneled into a halfling village' suddenly turned into 'save the kobolds from the orcs so they can go back home' when my player's druid decided to have a conversation with kobolds instead of taking them out. Which has actually driven the story in fun ways. The party retreated after a series of bad rolls against the third band and decided to leave the rest to someone else, which I then used as a way to create some later conflict with the party running into orc warbands attacking the next village over. Best part was that this party is pretty much all new to the game, so I was using that as a trial run to lead into one of the premade adventures and now I've created my own campaign. the idea of granting advantage in exchange for a good check is one I am definitely going to implement. My pcs love to make heroic deeds, this would encourage them! Great article, hoping to read more on improvisation soon. Great write up! Thanks for all your hard work to help me be a better DM! @RthrX Indeed. Asking for a roll and improvising off of the result is a fine way to go without necessarily coming up with a DC. Some players, however, like to know they're aiming for a specific target. @Radazim. Establishing a social contract is a good idea. However, sometimes the actions of the characters will go off the rails even if our players aren't being jerks. Murdering a quest-giver is one thing but sometimes they will just choose another path. Being able to improvise off of that unexpected path is a skill we can all improve on. Being upset if they ignore plot hooks is a slippery slope. If your game hinges on them grasping the one hook you were expecting a group to grab onto, they your game is dangerously close to being a railroad. If they grab onto the wrong thing, or take an unexpected turn to look after something you didn't plan on them looking into, roll with it for a session or so, but include something that will nudge them back on track. In your example of the lost nephew, why would that be of interest? Were the PCs even there when he went missing? Did the noblewoman hire the group? Are they part of the City Guard investigating the missing person? If it's just some nobleman that went missing, it may not interest the players or characters. You may not have given them enough reason to care. If your game is dependent on the PCs doing that one thing, then you've not provided them a setting, you've dictated what they *have* to do for the game. The head east analogy is a perfect one. It's the players prerogative to do whatever they want. It's the DMs job to work with it, and figure a way to get them back into the plot they designed originally. Let's merge those two to provide an example: The nephew is missing, and the group hears about it, but largely doesn't care, because not enough reason was given to have them care, so they head off to the east. The next town they come upon they find that several people went missing after visiting local taverns, and they thought these people were abducted (give the evidence gathered). They had a clear idea of who the person was and were ready to arrest him when the abductions stopped completely. Descriptions of the person they thought was responsible resemble a person the PCs briefly met at the tavern the noble disappeared from. Now you've improvised, and indulged your players' sense of adventure the way they wanted to adventure, but also provided them a valid reason to head back to the original town, where they can pick up the lead on the nephew. You didn't railroad the PCs, you let them go off the rails until you could find a way to guide them back. Now as for the attempted murder, and theft? Nobles have guards. PCs can be caught before the murder. After being arrested the noblewoman could always intervene with the constable and tell the constable that she would like to let the group go, on condition that they find her nephew. She's seen them in action and thinks they are formidable, and have a good chance of finding out what happened to the lad. 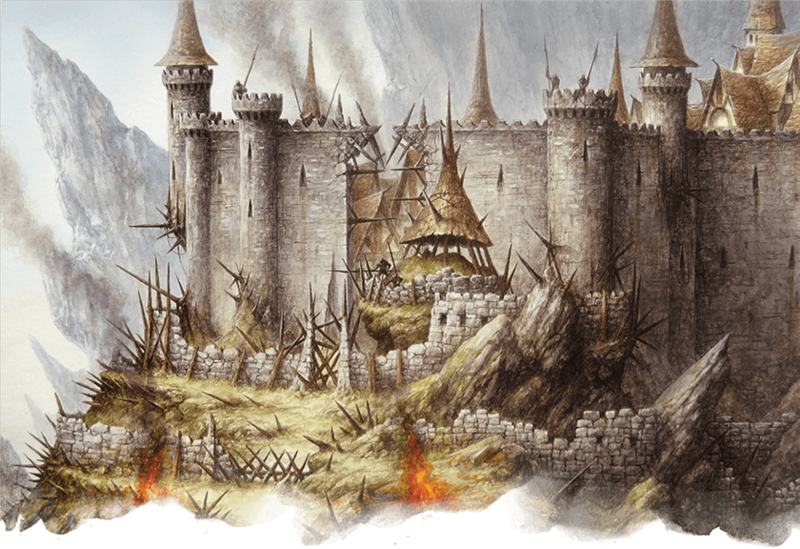 In this case, you've indulged the PCs want to be murder hobos, shown them that the world will react accordingly to their actions, and put given them an out, in the form of a patron/matron that can also provide future plot hooks. The thing to avoid is the trap of needing players to grab onto that *one hook* for the story to continue. Even if you thrown many hooks out there that lead in slightly different directions to begin with, they can always wind up in the same endpoint, and your players would never know. This will be useful for myself. I have been thrown in the deep end by our very rp heavy dm that wants to play a pc, since I have the second best grasp of the rules I get to be the dm and will probably improvise most of it so he can play the story he wants to play. Also, I am bad at coming up with story's myself. 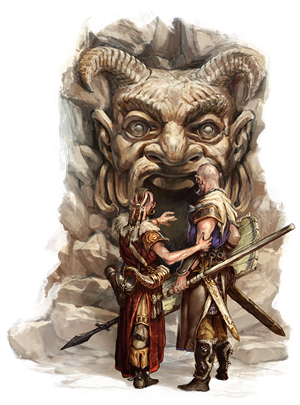 Early game stories can often be entirely based around w/e cool monster you most recently saw in the Monster's Manuel that can provide a good challenge for your PCs to investigate, track, explore, then fight. You can simply use the backbone of the nature of w/e creature you chose to build an adventure around. For example: your PCs are band new fresh first levels and they've arrived at their very first town, when suddenly, they hear a scream coming from what seems to be in the direction of the center of town, it's only just past mid-day and plenty are out-n-about but have now all dawned a look of surprise and fear on their faces. PCs begin to follow the crowd to go find out what's happened. *POP! * the flash of sparks is sudden as they rise higher, higher, and higher into the sky before *BOOM! * the firework explodes into a red cloud before the sounds of clapping sweep across the center of town, which is apparently hosting a fair. Upon the stage is a woman, seemingly the source of the scream, as she stands, it seems it had been for some scene in the play. As the fearful looks upon the faces of those in the crowd the PCs followed to the center of town all start to slowly relax back into their more content shapes, all seems normal. Right at the moment the PCs seem to resign themselves to their non-combat postures and prepare to explore the town, the ground begins to tremble.... as ppl dart their heads all around, looking for some cause for the trembling, someone shouts "OUTTA THE WAY!!!" "GET OUTTA THE WAY!!!" the PCs face the direction of the shouting as 3 horses and a cart are barreling out of control right towards them.. PCs roll or choose an action to take... those who succeed just manage to look up and watch as the horses turn suddenly to avoid running into a building and the cart smashes into the side of it. The young man, prolly in his early 20's, attempts to stand but seems to have sustain some serious injuries to one of his legs and can be heard groaning in pain. What do PCs do? Definitely important to establish expectations and player goals before the campaign. At the same time, as long as my players are moving a story along, even if it's not the story I had planned, I'll go along with it. I've found, both in playing and DM-ing, that there's usually a way to tie in the 'original' story line, though it too will transform and adapt to the player's narrative. In the end, as long as my players are enjoying the story (or lack thereof) then I never feel that my prep was 'wasted'. If nothing else it has given me something to pull out later and saves on prep in the future.